Sometimes we insert pictures in our documents. But in some cases, we may need to remove pictures from a document. For example, we may want to remove pictures from document to minimize printing area or save printer ink. It may be disgusting to delete all pictures one by one in Word. 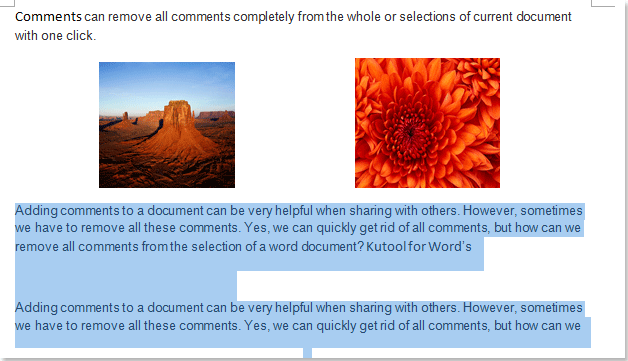 The Remove Pictures utility of Kutools for Word can delete all pictures from the whole or selections of current document quickly. 1. 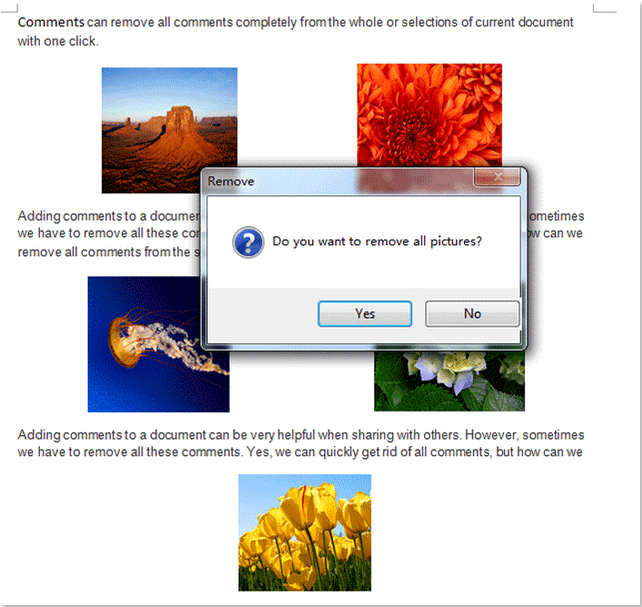 Please apply the utility by clicking Kutools > Remove > Remove Pictures. 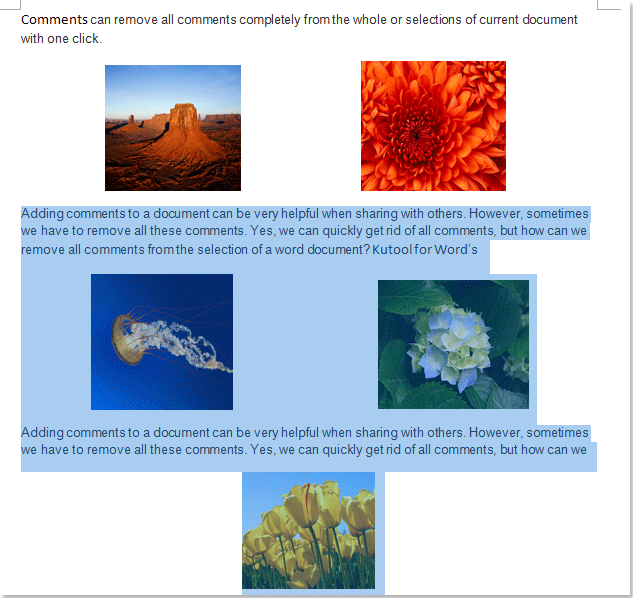 All pictures in the whole document have been removed. 1. 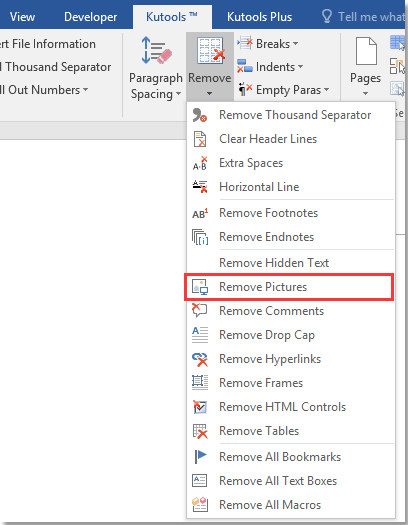 Select part of the document first which contains the pictures you want to remove and please apply the utility by clicking Kutools > Remove > Remove Pictures.